Fishing trends change as often as fashion trends in clothing, thanks to the continual innovations in the technology used in the design and production of fishing equipment. And with so many brands available on the market, it is hard to choose the best one. However, one fishing tackle titan deserves the standing ovations for offering some of the most innovative and high quality fishing equipment – Shimano. Shimano has become so popular that it seems as if every fisherman must own products from this brand. Shimano makes sure fishermen are equipped from tip to toe with reliable and durable fishing equipment, so wait no more and be a part of these latest fishing trends. From so many popular Shimano products it is hard to choose the top trend setters, but let’s just say that Shimano sports camera and reels are leading the trend. 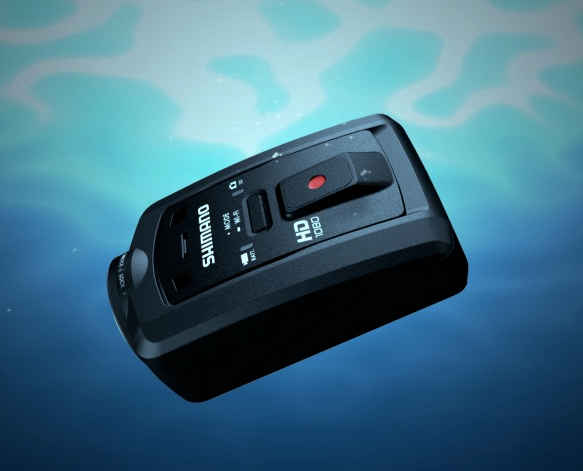 Shimano Sports Camera – Fishing got a new dimension with Shimano sports camera. This ultra light electronic device can be used anywhere you like. Thanks to the innovative features like full HD resolution and waterproof feature up to 10 m underwater, make Shimano sports camera the new best must-have fishing accessory. Now you don’t have to worry about capturing pictures and videos when on the fishing trip as Shimano sports camera is very light in weight, thus can be carried everywhere you go. Also the fact that battery lasts long is another reason for increased popularity. You need to charge this sports camera for 4 hours and will be able to use it without problems for 2 hours straight. Stella Reel – Shimano has been on the market for years, but became quite popular in the last few years thanks to the innovative sports camera and Stella reel model, that changed fishing forever. Now fighting big fish is easy, thanks to the greater drag performance this spin reel offers. For extreme fishing conditions, equip yourself with Shimano Stella reel and be sure that the great performance, high resistance and accuracy this reel offers will make your fishing even more enjoyable. Butterfly Jigs – Another popular trend in the fishing trend these days, is the new concept of jigging techniques that Butterfly jigs provide. They are available in wide range of attractive colors and greater cast performance. Change your fishing with Shimano butterfly jigs, especially designed to help increase the chances of a successful catch. Tackle Bag – Shimano produces all sorts of equipment from reels to rods, lures, wear, etc. But the question is where to store all the fishing equipment. Shimano thought of this as well, and created the perfect tackle bag. This bag is another popular trend these days, since it comes in different sizes to suit different fishing needs. You kept forgetting things at home, well now with Shimano tackle bag you will be able to store all your lures, fishing wear and other accessories like Shimano sports camera.